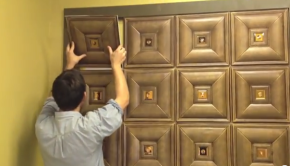 These new 3D faux leather ceiling tiles have a stunning resemblance to real leather. 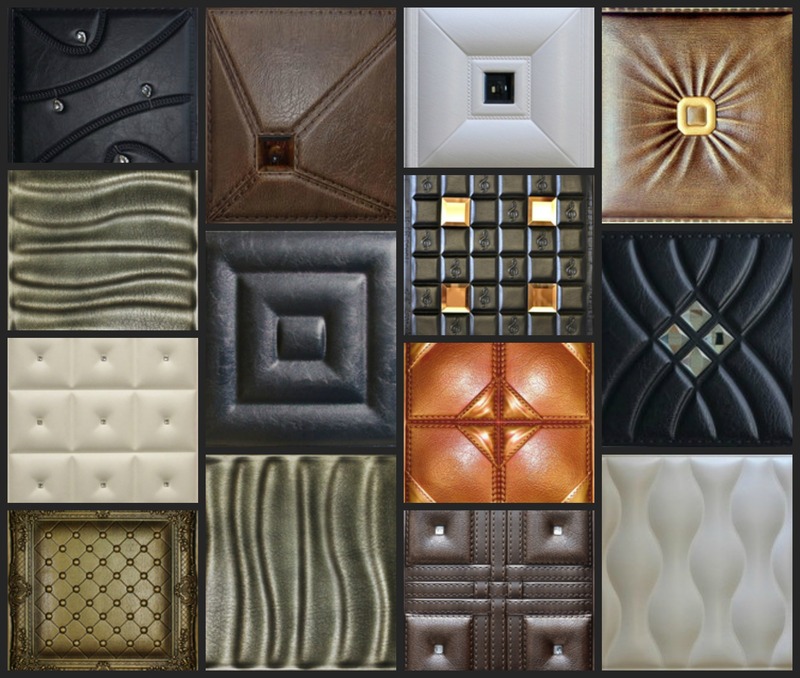 Their soundproofing qualities make faux leather panels ideal for use in a venue that has a tendency to get too loud since they will help absorb the noise. 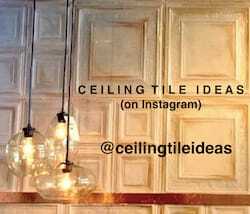 In addition to using them on the ceiling, we believe faux leather tiles work particularly well on walls. Ideal for use in restaurants, hotels, pubs, movie theaters, home theaters, libraries, game rooms and basements. Transform your space from fine to fabulous in hours! Top layer – fire and water proof Polyurethane. Feeler – sound/water proof fire resistant Polyurethane. Back board – fire and sound proof PVC. 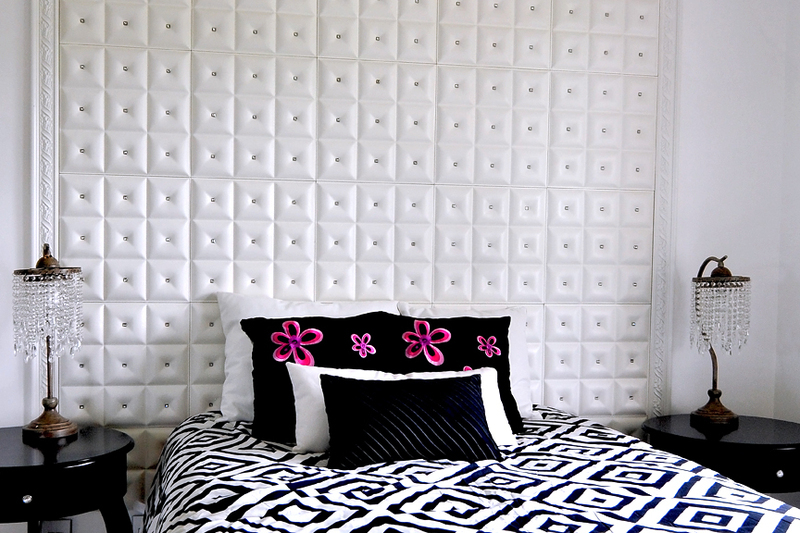 Use faux leather tiles as accent walls in any (and all) room(s) of your house! The featured photo shows the black version of Diamonds in The Sky used to define an entertainment wall. So chic & handsome! 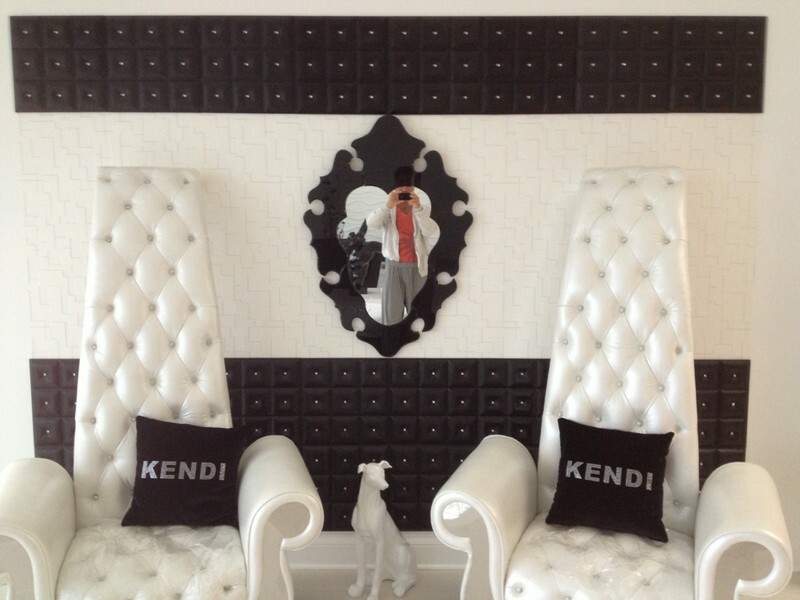 But the very same tile was used as a headboard by Vanilla Ice in Season 4 and as an accent wall in this chic seating area of a modern living room along with this fabulous statement ZUO Brahma Mirror in black. 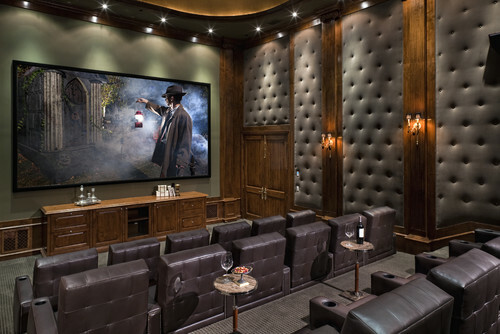 Use Decorative Ceiling Tiles Juliet Faux Leather Ceiling Tile in chocolate to create a look similar to that use in this Traditional Home Theater by South Pasadena Interior Designers & Decorators Jennifer Bevan Interiors we found on Houzz. We love the use of Kilauea Faux Leather Ceiling Tile on this stunning decorative wall in a luxury hotel. 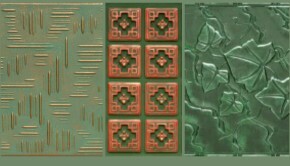 PartyIdeaPros.com even “envisions using faux leather tiles regularly to build set backdrops that create the feel of a pub, movie theater, “man cave”, library, or even an out of this world look. 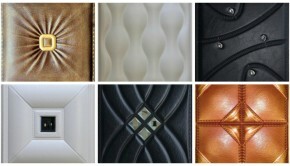 We love, love, love this product.” We second their love for the versatility of faux leather panels! 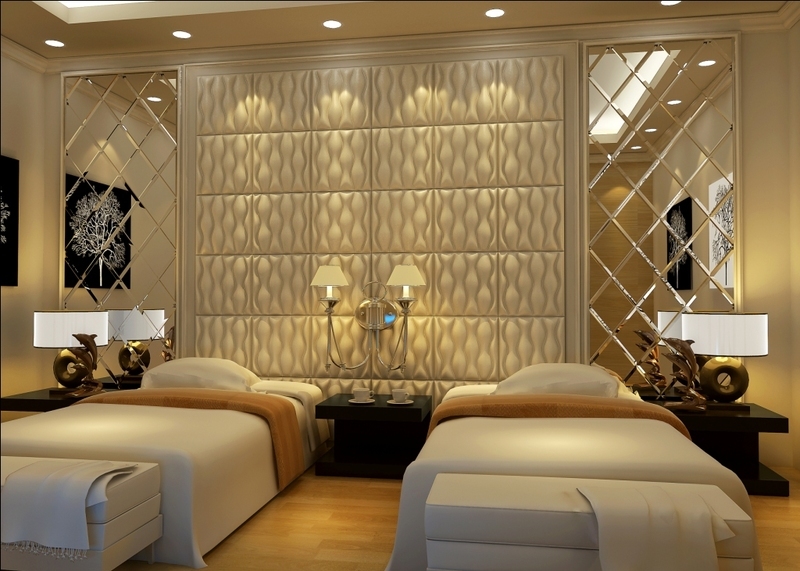 Summary: Faux leather decorative tiles work particularly well on walls. 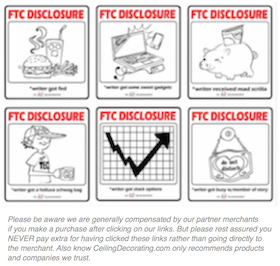 They are ideal for use in restaurants, hotels, pubs, movie theaters, home theaters, libraries, game rooms and basements. 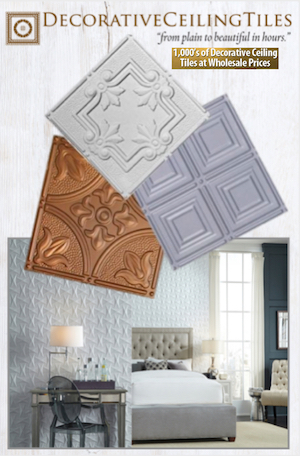 Or use faux leather tiles to create chic bedroom headboards and dining room accent walls. Transform your room from fine to fabulous in just hours!